Hannah Woolley (Shenton Park), Emma Pettemerides (Cottesloe), Mark Coughlan (Shenton Park), Prudence Sanders (Mt Lawley) and Cheralyn Simpson (Shelley). MAESTRO Mark Coughlanreceived a toy piano at the age of two and has continued upgrading the model ever since. Now with three grand pianos to his collection, the Perth resident says he may soon need to buy a bigger house. Coughlan has expanded his love affair with music over the past four years with his role of music director and conductor of the annual Vienna Pops New Year’s Concert, now in its 29th year. “I love this sort of concert where the music is really engaging and appealing and light and we have some humour,” he said. “There isn’t a lot to do on New Year’s Eve in Perth – Sydney has the fireworks etc whereas we reserve that for Australia Day. 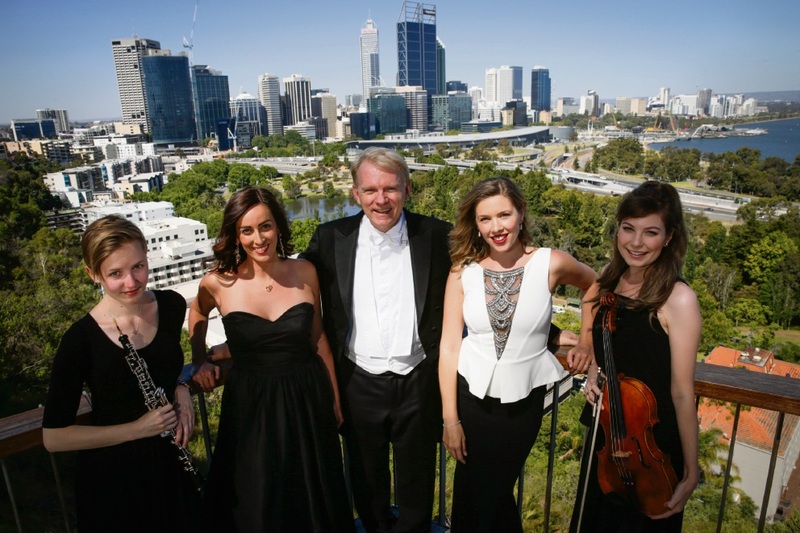 Six sopranos will take to the stage, performing operettas, duets and choral entertainment. “It starts at 9.30pm and the first half runs for about an hour and then we break and have a glass of champagne to get us into the mood even more and then the second half starts around 11pm and we try to time it so we finish The Blue Danube just before midnight,” Coughlan said. “On the stroke of midnight we have streamers, confetti and balloons and we do a great hoo-ha to welcome in the New Year. Coughlan is looking forward to a busy 2017 filled with music ventures. He said he hoped the world remained a stable place in the New Year and support for the value of arts and culture in our community remained strong.